Today we were implementing ACT 5.6 due to migration from Windows XP to Windows 7. 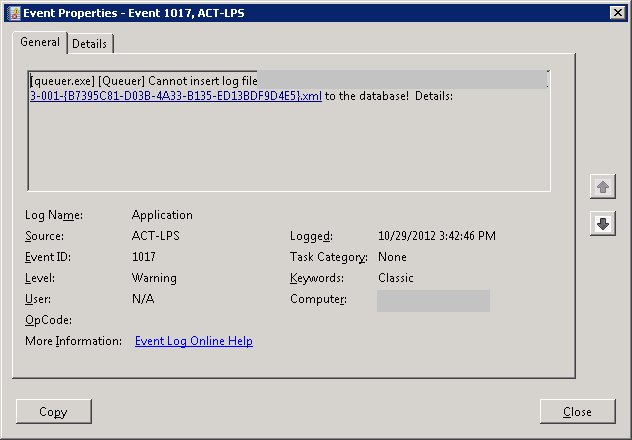 My colleague reinstalled SQL Express and ACT twice because it didn’t work as expected. We were examining Windows 7 SP 1 and they were failing everytime he ran report. 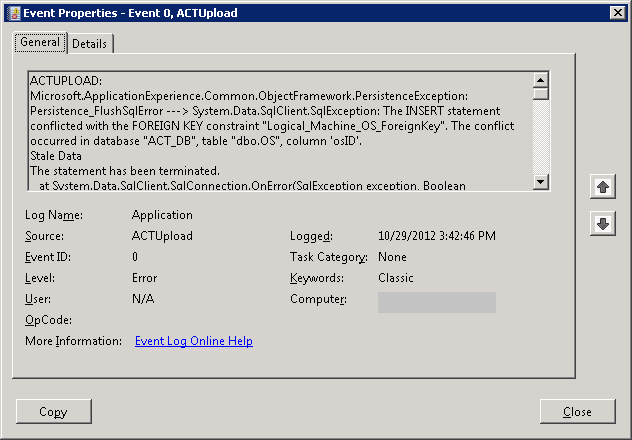 After reading last event you can see that ACT couldn’t insert some system because FOREIGN KEY constraint failed from table dbo.OS. And it’s true. When you look at dbo.OS you can see all OS defined by osID. And yes, it’s missing Windows 7 SP1 and Windows 2008 R2 SP1. So we need to insert those OSes in. There is also Microsoft knowledge base article how to do so.